Thank you for your interest in volunteering for GLASA! 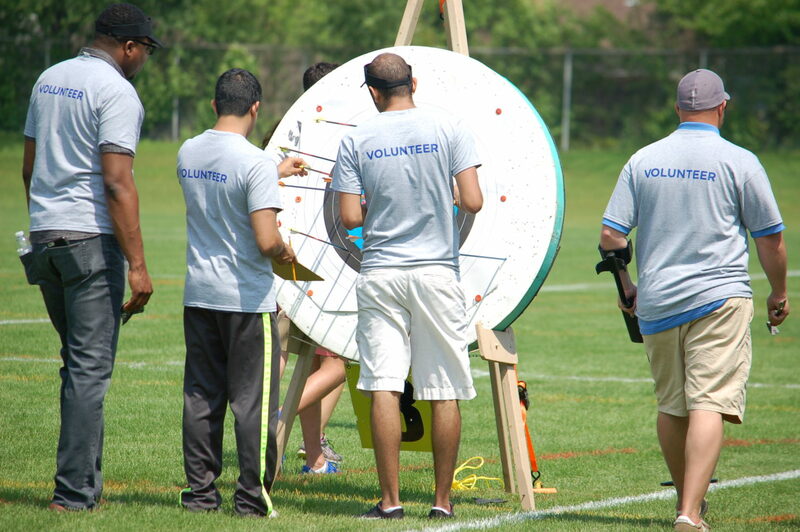 As a not-for-profit organization that provides year-round sports, clinics, camps and special events for youth, adults and injured military with a primary physical or visual impairment, GLASA relies on the generosity of volunteers to help make the programs and events a success! Throughout the year, GLASA offers its athletes and participants a variety of programs and special events. Below you will find a listing of programs and special events by season. Check the calendar for dates, times of programs. If you are interested in learning more about volunteer opportunities, fill out the online Volunteer Profile. Any questions, contact Micaela Venus, GLASA Program Director and Volunteer Coordinator, at [email protected] or 847-989-7743. On-Ice Volunteers must be at least 14 years old, proficient skaters with a hockey background and have their own skates. Volunteers are needed to help push and/or mentor sled hockey players on ice during practice and/or scrimmage play. Boccia is a Paralympic sport where athletes attempt to throw a ball as close as possible to a white target ball (the jack). At the end of each round the referee measures the distance of the balls closest to the jack and awards points accordingly – one point for each ball that is closer to the jack than the opponent’s closest ball. The team/player with the highest number of points at the end of play is the winner. Volunteers are needed to assist with set-up prior to the program, assist participants and put equipment away after the program. Volunteers must have the strength to spot at least 100 lbs.- volunteers should be comfortable around weightlifting/exercise equipment and able to assist participants once provided instruction (counting reps and sets, changing weights, etc.). Volunteers also must have the strength to spot at least 100lbs. Goalball is a sport played indoors primarily by blind and visually impaired athletes. Participants compete in teams of three and try to throw a basketball-size ball with bells inside over the opponent’s goal line. Teams alternate throwing or rolling the ball from one end of the playing area to the other. Players use the sound of the bell to judge the position and movement of the ball. If all three players miss the ball and it goes past them or over them and then over the back line, it is considered a goal. Games consist of two 12-minute halves. Due to varying levels of sight among players, all players wear vision blocking goggles to ensure equality among players. Volunteers will be asked to assist in taping off court prior to the program, fielding balls that may go out of bounds, and help removing tape after the program. Power Soccer is a competitive team sport for people with disabilities who use power wheelchairs. The game is played in a gymnasium on a regulation basketball court. Two teams of four players use power chairs equipped with foot guards to attack, defend, and spin-kick a 13-inch soccer ball in an attempt to score goals. Volunteers will be asked to assist in setting up the equipment prior to the program, fielding balls, and taking down equipment after the program. Volunteers should have yoga experience and preferably be adults- volunteers will be asked to assist the instructor with set-up, poses, clean-up as well as other tasks. Volunteers must have experience with tennis – volunteers will be asked to assist with equipment and participate in matches with athletes. Volunteers need swim experience for this program – perfect for the swim enthusiast or member of a swim team. Volunteers should be comfortable teaching intermediate swim techniques under the direction of the GLASA swim coach. Both wheelchair and ambulatory track & field athletes, youth and adult, will be scheduled throughout the program time. Equipment set-up and warm-up will take place the first half hour of practice. Volunteers will be needed to assist with set-up, clean-up and running drills. Volunteers will help set up and clean up equipment for the program as well as run drills and play alongside youth athletes under the direction of the GLASA Basketball Coaches. This 3-day event will be host to athletes (youths, adults and injured military) with a physical or visual disability from around the world. These amazing athletes will have the opportunity to compete in a variety of adaptive sports: archery, boccia, swim, powerlifting and track and field. Volunteers will be recruited to fill a variety of needs from logistics, first aid, concessions, and specific sport events. The online sign up will be available early April. If you are interested in being emailed when the Online SignUp goes live, please email Micaela at [email protected]. Camp Trek is a week-long adaptive sports camp for children with physical disabilities and visual impairments. Volunteer counselors will explore a variety of adaptive sports with their assigned camper for the week. This camp is perfect for someone aged 14 and older who is personable, outgoing, loves working with children and enjoys sports. Volunteers need to have golf experience. They will help with minor set-up and assist athletes with teeing up under the direction of the golf coach. This program runs seasonally in the summer. Check back later for additional details. Volunteers will help set up and clean up equipment for the program and play along side youth athletes under the direction of the U of I Wheelchair Basketball Coaches. GLASA will hold the 11th annual 5K Twilight Run/Walk/Roll and post-party in Lake Forest! The 5K participants will “run, walk, or wheel” on the scenic 5K course through the streets of Lake Forest. Volunteers will be recruited to assist with logistics, first aid, course marshaling, registration and the post-race party. Volunteers must have experience with basketball- volunteers will be asked to help run drills, play alongside youth athletes and help load up equipment after the program. This event will be for all past and current athletes and their families to enjoy. Volunteers are needed for set-up, assistance with food, activities and clean-up. Volunteers can sign up for 2.5 or 3 hour shifts to wrap gifts for happy shoppers while raising funds for GLASA. Volunteer to spend a few hours helping out in our office, with a variety of different tasks. Help GLASA with various marketing-related projects… like press releases, preparing brochures and posters, online newsletters, etc. Help with GLASA’s use of social media like Facebook, Twitter, Instagram, etc. Volunteer to provide specialized skills and knowledge you may have, like knowledge of IT systems, H-R, nonprofit management, legal issues, etc. GLASA Young Professionals Board is comprised of a group of young professionals, emerging in their careers in and around the Chicago-land area, who are passionate about raising funds and awareness for GLASA.